A number of impressive initiatives across the global south are using art to empower marginalized communities. Whether it is through museums in Rio de Janeiro, art training workshops and exhibitions in Mumbai and Lagos or encouraging film production in Nairobi, several projects are giving the poor a voice. Read on to learn more about these initiatives, then join the discussion on URB.im. 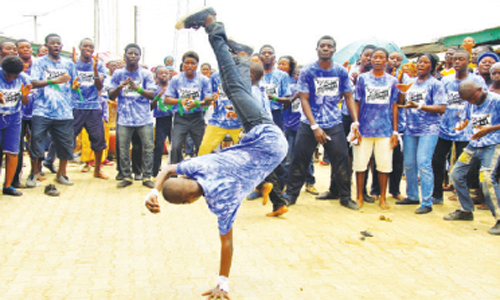 In Lagos' marginalized communities, the BornTroWay Creative Arts Project is empowering and spotlighting youth art creativity. The project's formula is simple: a competitive public audition, through which just over a dozen youth are selected, then an intensive, five-day creativity training workshop and then, finally, a public performance. During the five-day youth arts training -- focused on dance, drama, spoken word and music -- the project builds the talents, self-esteem and consciousness of young people who create an original script and choreography for public performance. This initiative helps the youth explore and exhibit their creative talents, and uses these performances to promote peace and unity by calling for community action and improvement. Although the Kenyan government does little to encourage film production in the country, there are a number of organizations that focus on putting film recording equipment in the hands of Nairobi's slum residents, helping them gain the skills necessary to tell their own stories. A few of them recently joined together to produce the Nairobi Slum Film Festival, during which areas of Kibera and Mathare were turned into large open-air cinemas in which more than 30 short films, coming from Nairobi's informal settlements as well as Uganda and Tanzania, were projected for the benefit of the community. This initiative was widely applauded for helping slum residents redefine themselves, while at the same time showing outsiders that slums are much more than just "informal settlements" where only negative news and denigrating activities take place. To engage Mumbai's urban poor to discuss issues of water, sanitation and maternal and neonatal care, the Society for Nutrition, Education and Health Action launched a new arts initiative called Dekha Andekha (Seen Unseen): Conversations about Art and Health in Urban India. 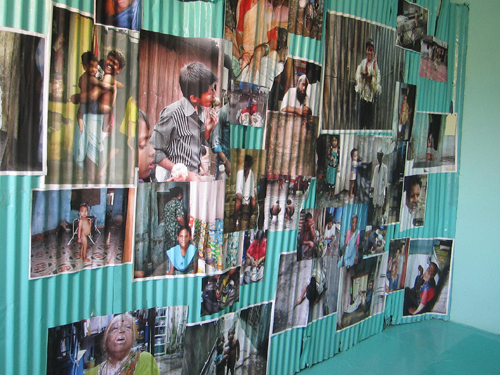 The exhibits -- all of which are created by residents themselves -- build on SNEHA's 10 years of research and interventions in the slums of Mumbai. The initiative enables slum residents to use art to share with the world the daily difficulties they face just to survive. 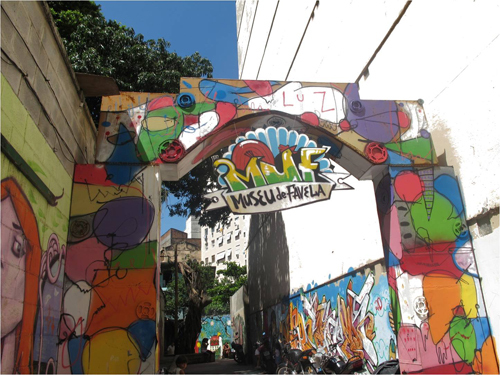 Rio de Janeiro's Museum of the Favela is a culture and community center that puts on exhibits about the history of slums, the cultural origins of samba, the culture of migrants from the northeast and visual arts and dance. The museum's mission is to transform local living conditions through artistic and cultural expression, and hence demonstrate that the solution to sustainable urban development should come from within. The organization's projects stand out for their experimental character and their ability to express and preserve favela residents' cultural heritage through creative arts, affirming collective citizenship and identity. These initiatives allow marginalized communities to see themselves through a different prism, an important start for bringing about social change. Visit URB.im to read more about these inspiring projects and to share your own.